How intense is your pain currently? 1: Low Pain to 5: Intense Pain - If you're just here for the information, that's cool too! How many additional guests will you be bringing? We'll save a seat and make a handout for them! How'd you hear about the workshop? Thank you, your registration has been received. We are looking forward to seeing you at the workshop! We’ll be in touch before the workshop to confirm. Please let us know if something changes as seating is limited. 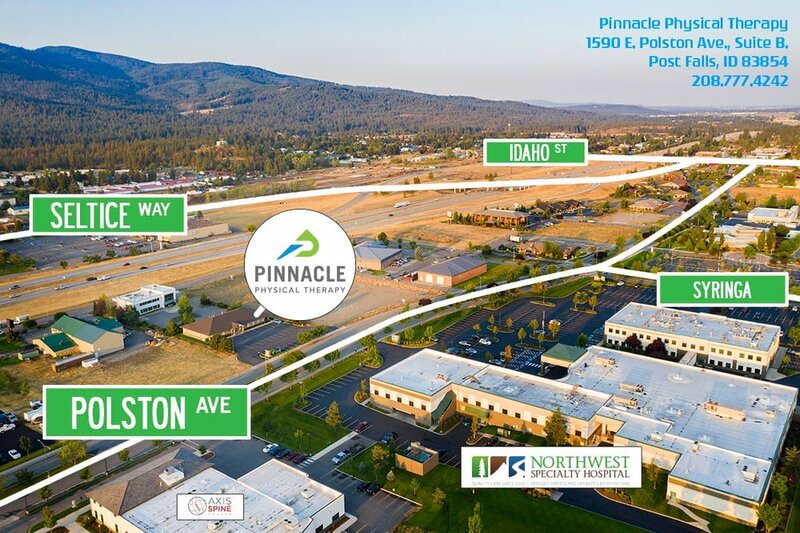 Our clinic is located at 1590 E. Polston Ave., in Post Falls (Across the street from NW Specialty Hospital). Here’s a map. Click the map to get directions from your current location. Check out our other upcoming workshops!